With average summer temperatures hovering in the mid-to-high 90s, Austin desperately needs refuge from the sweltering heat. 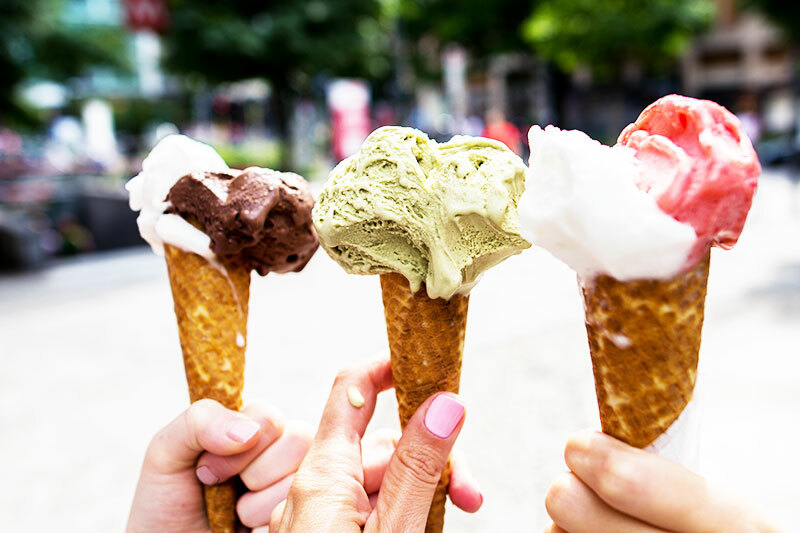 Luckily, there are plenty of neighborhoods throughout the city with local businesses making it their mission to provide residents with frozen desserts and beverages. 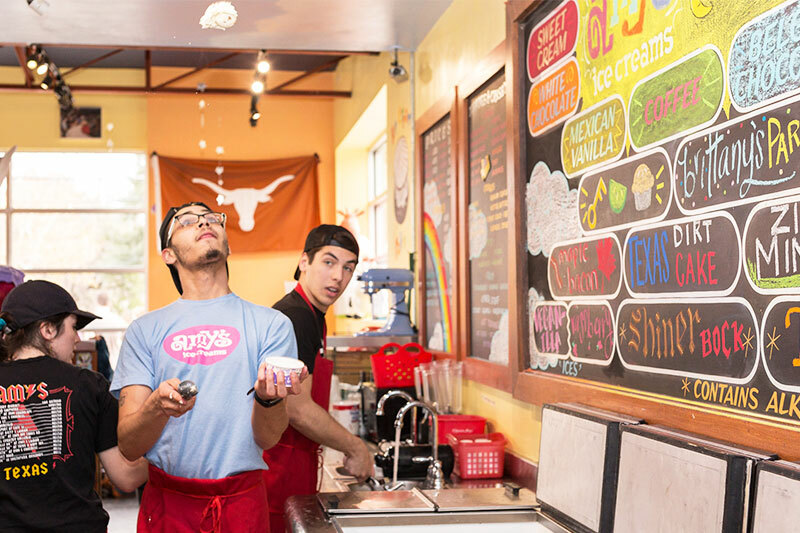 To get some icy relief, head to these four Austin neighborhoods to cool down with a sweet treat. A pair of relaxed and family-friendly residential neighborhoods on Austin’s northern perimeter, the adjacent areas of North Lamar and North Burnet are prime locales for cold-dessert cravings. Beloved local mini-chain Amy’s Ice Cream has a North Burnet outpost, where visitors enjoy a rotation of 300+ flavors, including All Thai’d Up (ginger, basil, coconut cream, coconut rum, lime juice, toasted coconut), Black Metal Stout (sweet cream ice cream with locally-brewed Jester King’s Black Metal Stout beer), and Pecan Pie (vanilla ice cream blended with homemade Texan-style pecan pie). North Lamar denizens have the ability to venture to Parkfield Drive for a modern-yet-classic take on the neveria, or Mexican-style ice cream parlor. Michoacana Natural Ice Cream offers delicious south-of-the-border frozen treats, like fruit-flavored paletas (ice pops), citrus sorbets with chamoy (apricot with lime, chili and pineapple), and luxurious dairy-based scoops. If you head farther up in North Burnet toward The Domain shopping center, you’ll come across SPUN Ice Cream, a funky local ice cream parlor located in a shipping container. SPUN makes its ice cream with liquid nitrogen, resulting in a lighter, smoother product with bold flavor and some serious chill (the nitrogen clocks in at -321 degrees). SPUN serves four core flavors—vanilla, sweet cream, salted caramel, and horchata—and a variety of mix-ins like peanut brittle and glitter sprinkles. A small neighborhood wedged between Downtown Austin and the stately residential vibe of Hyde Park, Hancock is a particularly popular area among the 9-to-5 crowd and University of Texas students. It’s also an epicenter of frozen refreshment shops, making it an appealing area to visit during the hot Austin summer. Looking for a dairy-free frozen dessert in Hancock? Sweet Ritual, a cheerful shop on the northern border of the neighborhood, specializes in vegan ice cream that doesn’t skimp on flavor or texture. 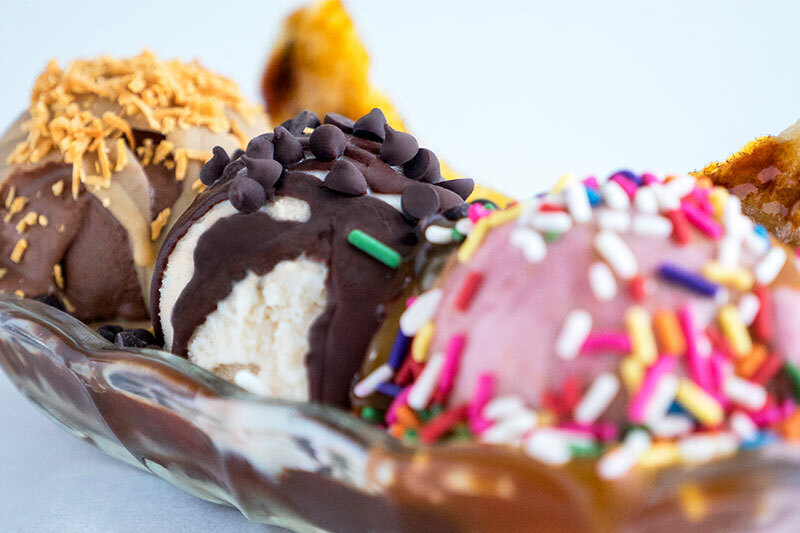 Scoops come in classic flavors like vanilla, chocolate, and strawberry but also makes loaded sundaes with vegan brownies and gluten-free wafer cones. If you cross Interstate 35 in Hancock and head a bit farther east, you’ll find Lick Honest Ice Creams, a prestige ice cream made in Austin and sold at scoop shops and upmarket groceries throughout the city. Lick offers an assortment of flavors with grown-up flair, like Caramel Salt Lick or Dark Chocolate, Olive Oil, and Sea Salt. They also have an impressive summer menu, including seasonal specialties like Honeyed Peaches with Rosemary, Blackberry, Lime and Basil, and Lemon Lavender. Lick uses fruits and herbs grown in the Texas Hill Country, giving their treats an extra dose of local cache. The perennially-hip neighborhood of East Austin is most famous for its creative population, its plethora of bars, and its late-night food trucks, but it’s also a destination for sweet and cold refreshments, some with a boozy kick. If the latter category appeals to you, don’t miss Prohibition Creamery, an artisanal ice cream parlor famous for alcohol-infused frozen dairy treats in flavors like Whiskey Chocolate, Vietnamese Coffee, and Pecan Buttered Rum. For refreshing Italian ice with old-school Austin flair, visit Jim Jim’s Water Ice on the East Austin-Downtown Austin border. This summertime refuge serves both flavored ices and homespun ice creams, and it’s been a city staple since the mid 1990s. South Congress might be the trendiest neighborhood for hip Austinites below Lady Bird Lake, but if frozen snacks are your goal, you’ll want to head farther down and explore the more relaxed region of East Congress. Austin may be an inland city but clever food vendors like Rockaway Beach ATX don’t let this fact stop them from offering beach-inspired eats to keep you cool. 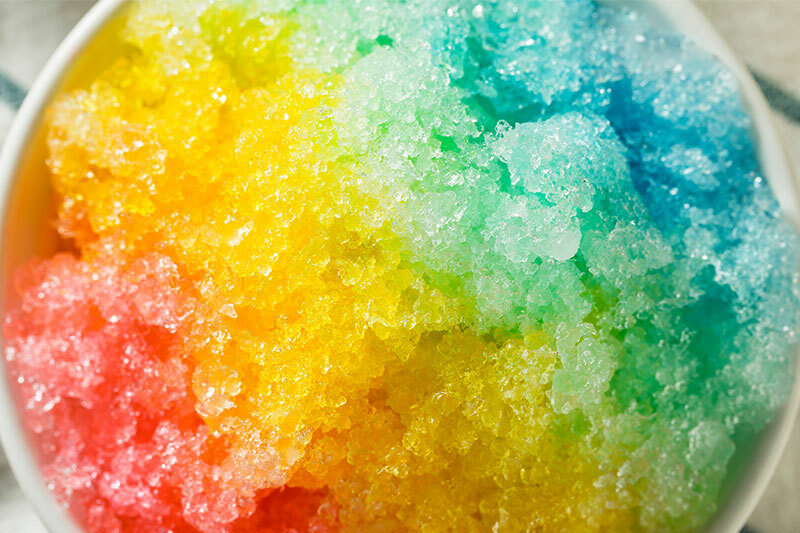 In addition to fully-loaded East Coast-style subs and hot dogs, Rockaway doles out cones of shaved ice in playful flavors like Root Beer, Tutti Frutti, and Daiquiri.